There's something special about Ironman. Something in the air. Even after 4 Ironman races, the feelings and emotions I experience during the couple of days leading up to an Ironman, and especially during the day of an Ironman are quite extraordinary. I hate to say it, because I know I have many readers that have tackled everything but the Iron-distance, but Ironman is simply on a whole different level than the half-Ironman and shorter races. It's not just that the distance is double the 70.3 distance, it's that there are 2500+ people pushing their bodies to extreme levels of endurance that at one point in each participants' mind was thought to be insanely long and in many cases unachievable. And now they're doing it! And their friends and family have been through a lot in their own journeys of supporting these athletes, so they're adding to the "buzz" in the air. The Ironman distance is so demanding that athletes know they will need every ounce of energy that they can get, and after the race their bodies will be so broken down that a prolonged recovery time is a must. This applies to the first time ironmen all the way up to the seasoned pros...another great thing about ironman. All this to say....this ironman was extra special for me because Kimberly was racing it (largely because of that "buzz" that surrounds ironman...and the proverbial kool-aid that she claims to have been drinking when she's watched my ironman races in the past). After watching me race at IMTX the last 2 years, she couldn't help but sign up after the race last year. Her good friend that is also named Kimberly (my friend, Seth's, girlfriend) signed up at the same time, and I later found out that several other Tyler friends were racing IMTX as their first ironman! 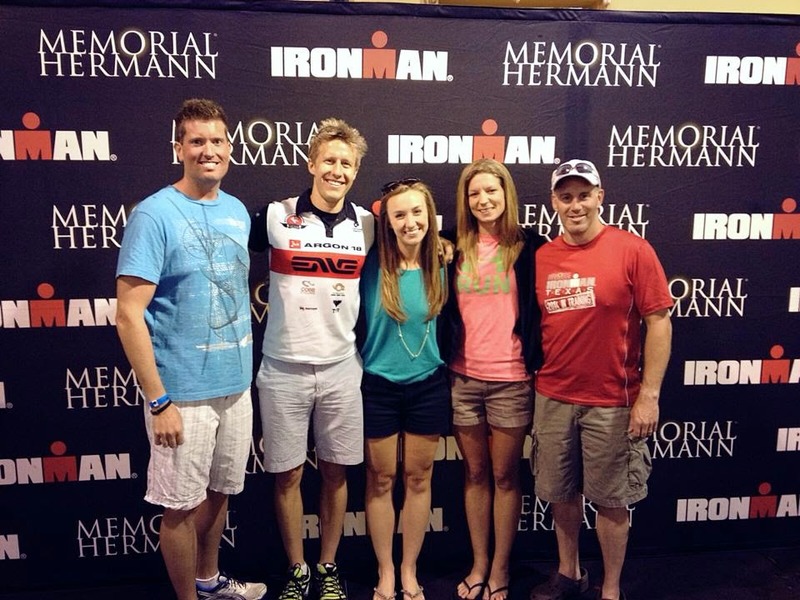 Suffice to say 2014 IMTX was going to be a special race. 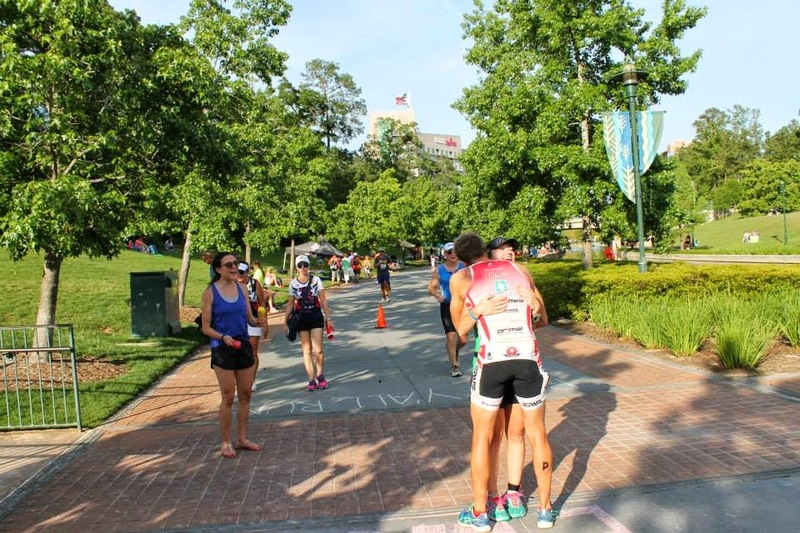 I love watching anyone race ironman, cheering them on by their name that I read off their bib # as they pass by on the run course, and seeing the flood of emotions hit when they cross the finish line to Mike Reilly proclaiming them to be an Ironman. If it's that much fun to watch any old person race an ironman, how much better to watch my fiancée and a handful of other close friends! It was a blast, and I wouldn't trade that day for any other day in the world...except maybe my wedding coming up in a few short weeks! Now to talk about my race! My taper for IMTX went really well, and I felt pretty ready going into this race. 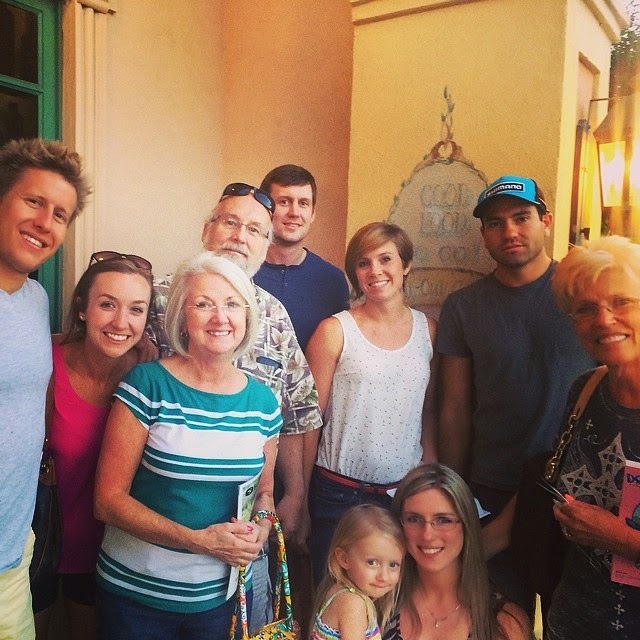 We drove down on Thursday afternoon, checked in, and attended the pre-race banquet. Friday was a fairly hectic day of putting together bike and run gear bags and prepping bikes to be turned in for the race. Felipe Garcia, one of my good friends that was racing (and a groomsman in my upcoming wedding) had a family emergency, so we had to turn in this bike and gear bags. If I thought the added stress of turning his stuff in was tough on me, I can only imagine what he was going through, spending the afternoon at a hospital, not being able to turn in his stuff and know where it is in the transition area (he overcame this to have an incredible race). Once everything was turned in, we relaxed for all of 5 minutes and then were off to a carb-loading dinner with some friends and family that had come in for the race! After getting to sleep at decent hour on Friday night, race day was upon us. Race Day: The swim start went pretty well, and after considerably less hand-to-hand combat than in the age group wave, I settled in with a large group of pros. Since pro men and women start together, 15 minutes before the age-groupers, it's a relatively calm start. The pack that I was in was moving at a good pace for me...fast enough that if I lollygagged a little I'd start to fall behind, but not so fast that I was burning matches keeping the pace. At about the 1/3 point in the swim, I found a girl that was kicking pretty hard, and therefore easy to draft off of because of her bubbles...and stayed with her through the duration of the swim. My TYR Hurricane wetsuit worked wonderfully, and I came out of the water in just under 54 minutes...an Ironman swim PR by over 4 minutes! After getting going on the bike and finding a good groove a few miles in, I was discouraged to see about 5 pro men pass me within the first 8 or so miles of the bike. I let them go, knowing that their effort was too great for me to maintain over the course of a 112 mile ride. But it did get me wondering if I was lacking a little power on the bike and needed to push myself a little harder than I felt comfortable with. Nevertheless, I decided to continue racing my own race, and in doing so I was still able to keep one of the guys that passed me in my sight through the first half of the bike. Finally, I passed him at the halfway point, and after that I started picking off pro men every 10 miles or so, passing about 5 more before the end of the bike. My Argon 18 bike rode extremely well...I like it's stiffness when climbing, and feel that will be a huge asset come Ironman France next month (an extremely hilly bike course). The ENVE Composites SES 8.9 clinchers were also great in both the aero (speed) and weight (climbing) departments, making me excited about them for Ironman France as well! Thrown in the mechanical advantage that I have with my Rotor Q-Rings, and I am a very happy with the set-up on my bike. Let us not forget my Cobb Gen 2 saddle that kept me comfortable the whole way, not bad for 112 miles! All of this helped me get an Ironman bike split PR by 7 minutes, with a time of 4:36! I started off the run feeling great. 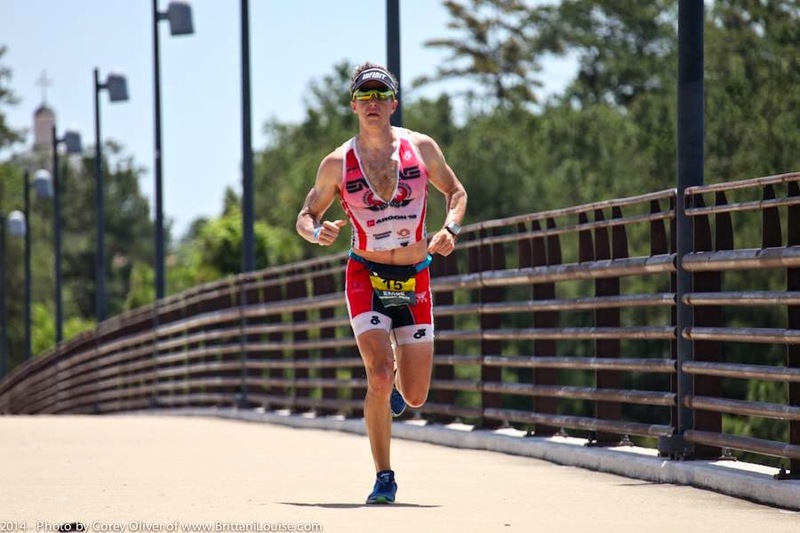 After depending almost exclusively on my Infinit Nutrition custom drink formula throughout the bike, I threw down some Infinit Napalm in T2, and experienced very little stomach discomfort the whole race. That was a first for me. Usually the first 7 or 8 miles of the run is very rough on my stomach, but this time I felt great...and it showed in my run pace. My first few miles were right around 6 flats, and up until about mile 10 I was still averaging around 6:15 min/mile pace. If anything kept me back in the run, it was IT band tightness, which I started to experience at the end of lap 1 of the 3 lap run course. Trying to maintain my speed with my legs getting tighter and tighter took a major toll on my form. I was still breathing fine, and felt great nutrition-wise...and I wasn't experiencing any leg cramping. But the IT band tightness took away the fluidity of my form, and I was landing rougher and throwing my weight into each stride progressively more. Even with longer time spent going through aid stations, I was able to keep my miles around 6:40 to 6:45 for the 2nd half of the marathon. And in spite of the fact that I was struggling mightily in the run, I still reeled in a couple other runners the last few miles. In the end, I finished my marathon in a time of 2:52 for a total time of 8:28, good for 7th place overall! On a day that I was hoping would be a little hotter, I was still thrilled with my overall result! 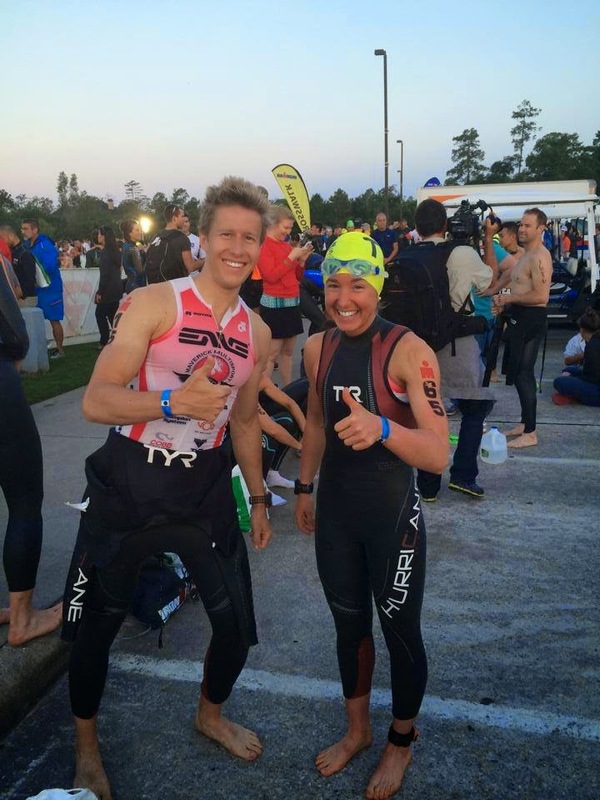 My Maverick Multisport teammates, Amber Ferreira and Matt Hanson both had amazing races at IMTX as well. Amber finished 3rd overall and Matt was 6th, destroying the run with an IMTX course record of 2:41! 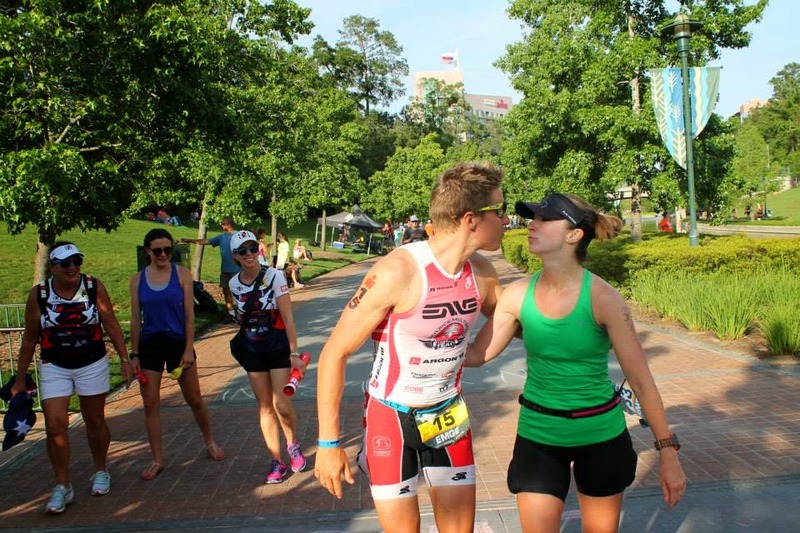 And my other Maverick teammates, Molly Roohi and Mike Hermanson, had awesome races at the Memphis in May and Triple T triathlons, respectively! And let us not forget to mention my beautiful bride-to-be, Kimberly Blackwell, who finished her first ironman in less than 13 hours! She defied ironman logic by taking selfies on the bike and smiling throughout the whole time during the run...she said her cheeks hurt from smiling so much after the race was over! Felipe Garcia came dangerously close to breaking 11 hours on his first ironman...and if not for some stomach issues on the run, he could've done it easily! And Kimberly Cooke had a great race, finishing in less than 14 hours as well! 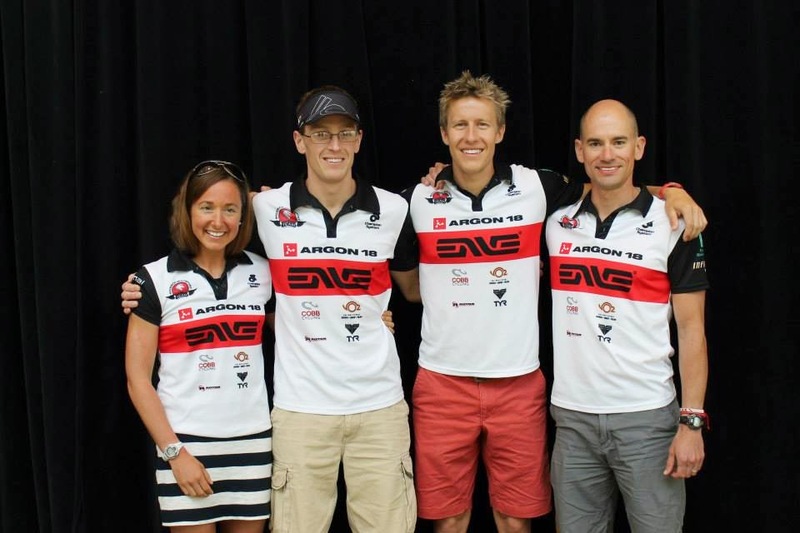 Jonathan Johnson, Jason Browning and Ted Harvey also had great races in their first ironman events! It was a blast watching/cheering for these folks, and it was also a ton of fun making new friends at Ironman this year, and cheering for them too...it is truly an amazing event, and I count myself blessed to be able to participate. Now let's see if I can do another Ironman race 6 weeks after IMTX ended! Let's also see if I can get about a million and a half things knocked off a huge list of stuff Kimbo needs me to do before we get married! This should be an interesting next couple months. Until next time. Romans 8:38-39 "38 For I am convinced that neither death nor life, neither angels nor demons,[a] neither the present nor the future, nor any powers, 39 neither height nor depth, nor anything else in all creation, will be able to separate us from the love of God that is in Christ Jesus our Lord." 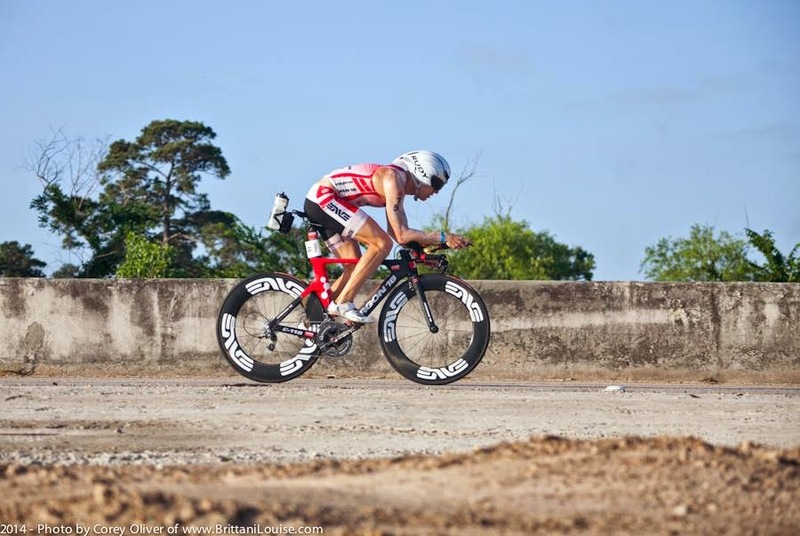 Great blog and race Clay! It's hard to fathom how fast you have gotten. 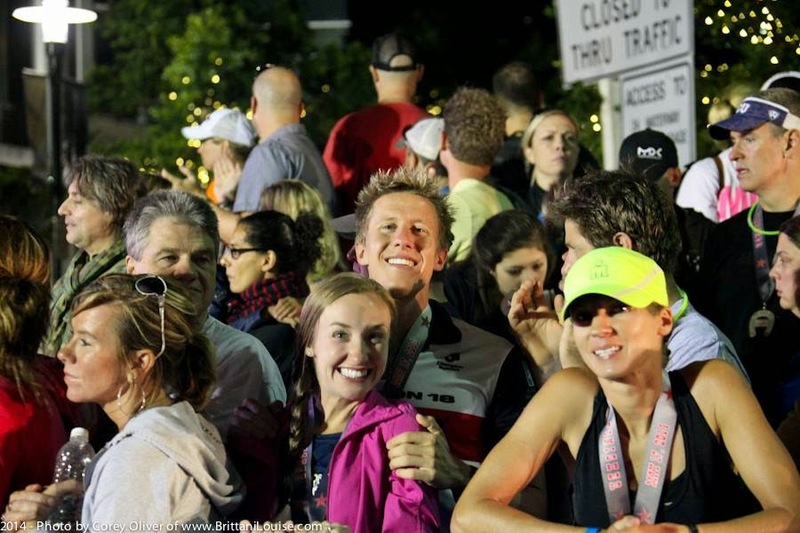 IMTX is such a fun race and does make one smile alot. I'm so proud of everyone from East Texas that showed others what it means to dig deep. Take care of those IT Bands and get ready for an amazing IM France. I look forward to reading the race report. I also look forward to attending your wedding. I need to put my RSVP in the mail. I filled it out the day it came, but it's been sitting on the counter. Oops! Just bought the plane ticket today. See y'all soon!